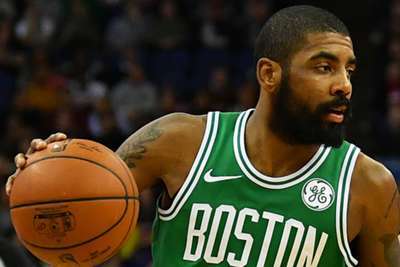 Kyrie Irving says swapping the Cleveland Cavaliers for the Boston Celtics last year was "the best move for my career". Irving did not specifically try to force a move to the Celtics, but demanded a trade from the Cavaliers during the 2017 offseason. The point guard is in no doubt he made the right decision to leave Cleveland. 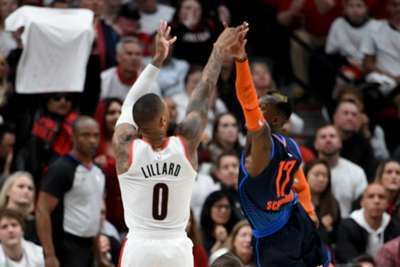 "I think it was the best move for my career, honestly, because it wasn't about any particular person or anything like that," the Boston guard told Bleacher Report. "It was just time. It may not have looked 'time' for everyone else, but for me, it was time." He added: "Like, keep it real. If I was still in Cleveland, I would be ... like everything that was foreseen to happen, happened." LeBron James left Cleveland to join the Los Angeles Lakers this offseason, and many expect the Cavaliers to miss the playoffs. Meanwhile in Boston, Irving averaged 24.4 points, 5.1 assists and 3.8 rebounds for the Celtics last season. He will spearhead a line-up featuring Gordon Hayward and All-Star center Al Horford along with promising young stars Jaylen Brown and Jayson Tatum in 2018-19. Irving said at an event last week he plans to re-sign with the Celtics and reiterated that seeking pastures new was the right thing to do. "Change is hard sometimes, man," Irving said. "And deciding to do what's best for you is not gonna look the same for everyone else. So you have to willfully accept that." The Celtics went to the Eastern Conference finals last season and are favoured to win the East this season.